You want to quit. How can you best ensure your401(k) retirement account is transferred, any bonuses earned are delivered, and you leave in good form? To get guidance, I interviewed Liane Fisher, a leading national employment attorney and founding partner at Serrins Fisher LLP. She has dealt with hundreds of splits between employers and employees. 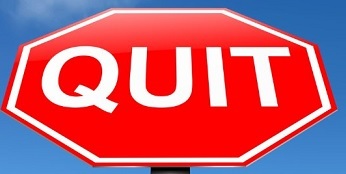 In interviewing Fisher, she and I compiled 13 rules that may help you before you quit. We have broken the list into three sections: 1) Before You Quit, 2) Quitting, and 3)After You Quit. *RULE 1, Know The Rules: Your present company has its own rules and regulations regarding salary, bonus pay, health insurance, PTO (vacation and sick leave), expense reimbursement, and the handling of retirement accounts upon an employee’s termination (whether voluntary or involuntary). Know these rules. If you are unsure about the rules, speak with the Human Resources department (HR). Also, federal, state and local laws may apply as your employment comes to an end. However, while laws and employer policies often intersect, they are not the same. If you are confused about your legal entitlements and protection then get advice from an employment attorney. I have included tips on “How to Find an Attorney” from Dean Nick Allardof Brooklyn Law School at the end of this post. If you have a bonus agreement with your employer, it should indicate whether and how monies are payable when the employment relationship ends. Also, before you quit to go work for a competitor, make sure you don’t have a non-compete agreement in place preventing you from accepting your new position. *RULE 3: Do Not Take, or Keep Any Company Property: Whatever you do, do not take company property – especially confidential property. This includes all proprietary documents, white papers, marketing and financial plans, lists of customers and prospective customers, and more. *RULE 4, Get Your Bonus, Then Quit: I have worked with many executives who have confided in me that they were going to quit. I was a safe harbor, not working in their company directly. Every single top executive I have met who was owed a bonus — never quit before the bonus was paid. Or if they did, their next employer paid it so they could leave early. So, either wait for your bonus to be paid out, or if you are lucky, your future employer will “keep you whole,” and pay it so you can leave your present job early. What’s Fair Doesn’t Matter: “Your employer may treat you unfairly. And may do so when you resign. However, what is unfair is not necessarily unlawful. Focus on what is within your legal rights, versus what is fair, “ advises leading employment attorney Liane Fisher(pictured). *RULE 5, Resign to Your Boss: Face-to-Face: Do not quit to human resources. Do not quit by email. Tell your boss face-to-face. If you work remotely, call your boss and tell her by phone. I once had a person who worked for me remotely and quit via email to start his own business. It was fine that he quit — but, not by email. The email was followed by his calling some clients — to see if he could take them for his new business. While I do not begrudge the person for going on his own, I found him to do things in a covert, underhanded way. I lost total respect for him. And, to this day, that is all I remember about him. *RULE 6, Give Enough Notice: Give your boss enough notice to transition your work. Offer to train a replacement during a lame duck period. *RULE 7, Leave on a Good Note: Even if your boss is a coward, and a creep – leave on a good note. Don’t be underhanded like my employee who resigned above. I may have been perceived as a creepy boss to him, I am not perfect – but most bosses in the world are understanding. Anecdote: I just spoke to a friend of mine who runs a consulting company. He had an employee who had worked for him for years and years. She found her next opportunity that offered her growth and better pay. She talked to him about it and she was torn about leaving. However, the boss, in this instance, insisted that she take the next job. The transition for both boss and now former employee was tough, but the parting was on a good note – and forever they are connected. Conversely, I have worked for executives who treat employees like a disposable diaper. If you leave, they figure they can always find another one. In dealing with bosses like that, count your fingers every time you shake his or her hand. And, if you quit, make sure it is formalized and guided by the rules of the employer and laws of the land. *RULE 8, Leave With a Note: Have a letter of resignation addressed to your boss and “cc” those in the HR department. Make it formal by saying that on an effective date, you are resigning from the position of (name of position). If you have any editorial comment in your note, only make it positive. If you have negative feelings, omit them. I repeat, if you have negative feelings, omit them. *RULE 9, Do Not Resign To HR: I know I said resign to your boss. But, do not resign to HR. Informing HR is Step Two after you resign to your boss. Fisher made this point, “Knowing the rules (employer policies) does not mean you will know your legal rights. You must go beyond company rules to understand your protections and entitlements,” she advised. Before you meet with HR, understand how your bonus is paid and how it is calculated. Note that your last salary paycheck should be paid no later than the company’s next regular pay date. Understand how your 401(k) is transferred if you have one? Know whether there is a transition period for health insurance, or whether you can get insurance in the new public exchanges. *RULE 11, “Refrain From Complain”: Quitting is not the time to complain about the job you’re leaving, or the boss, or the company. Don’t tell them what idiots they are, or why you have been wronged. It is a waste of time and you will leave on a bad note. You do not have to tell them why you are leaving. Focus on your future and what you are doing next. HR will often request an “exit interview.” Only share factual information. Quitting is about you, not about the company. Less is much, much more. *RULE 12: Transition Well: Fisher could not emphasize this enough. If you have a job with responsibilities, document work-in-progress and what needs to be done on each assignment. SIDENOTE — Don’t Let The Door Hit You In The Behind: When you resign, your boss may flip out and ask you to leave immediately. Don’t be surprised no matter what your boss’s temperament. Just make sure you close the loop with HR. Now, quit on a good note, get paid, and move forward. As you can see, conferring with an employment attorney before you quit is probably a good idea. If you do not have one, below are ten tips on how to get one from Dean Nick Allard of Brooklyn Law School. Ten suggestions on how to get a lawyer if you need one. Personal reference is always the best. If you don’t know an attorney then ask people you trust for recommendations for the kind of lawyer you need. Lawyers Know Lawyers. Ask people you trust for a good lawyer to speak with whom they respect. Then ask that lawyer to make a recommendation for a lawyer who specializes in what you need. Again, lawyers know lawyers. Local Bar Associations. Bar Associations can give names based on affordability, but then double check with people you know for quality assessment. Ask the lawyer you are considering for client references. DIY and Legal Clearinghouse Services now available on line. DIY sites include Legal Zoom, Rocket Lawyer, and LawDepot. Ask For a Free First Consultation, and don’t be afraid to do that with more than one lawyer, and then follow your gut instinct about who to hire. Tags: Quitting Your Job, rob wyse, what to do before you quit your job. Bookmark the permalink. Previous post ← Are You Meant To Be a Millionaire?